Among the more than 140 pages of piano/vocal/guitar sheet music in this collection, you'll find every song from Jimmy Buffett's classic Songs You Know by Heart greatest hits album. Plus there's a dozen more songs selected from eight additional albums, including popular live recordings and recent releases. 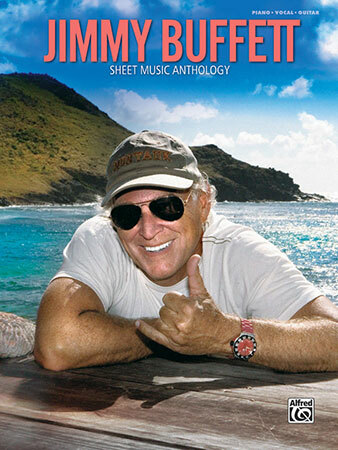 This collectible songbook is a must-own item for every music-making "Parrot Head," and it makes a perfect gift. 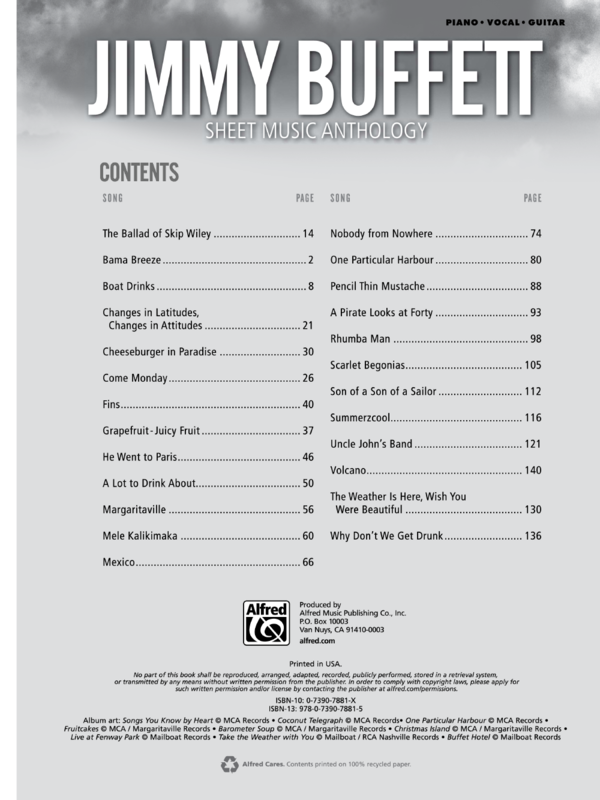 Titles: The Ballad of Skip Wiley; Bama Breeze; Boat Drinks; Changes in Latitudes, Changes in Attitudes; Cheeseburger in Paradise; Come Monday; Fins; Grapefruit-Juicy Fruit; He Went to Paris; A Lot to Drink About; Margaritaville; Mele Kalikimaka; Mexico; Nobody from Nowhere; One Particular Harbour; Pencil Thin Mustache; A Pirate Looks at Forty; Rhumba Man; Scarlet Begonias; Son of a Son of a Sailor; Summerzcool; Uncle John's Band; Volcano; The Weather Is Here, Wish You Were Beautiful and Why Don't We Get Drunk.